Seize the world one shopper at a time. Create unique messaging and offers based on a geo-fenced area as broad as a country or as granular as a zip code. Display seasonal and timely designs to appeal to your visitor’s current mindsets. Start with a template or design your own. Collect location-based information and segment your audience into geo-fenced groups for more persuasive campaigns. 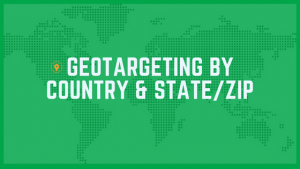 Geo-fencing uses advanced-targeting rules that target a visitor’s location so that you can serve a unique site experience. With geo-fencing marketing, you can deliver a highly-personalized customer journey and foster one-to-one relationships with geographic relevance. Use location data to amplify local marketing messages in a way that resonates with consumers on a deeper level and provide applicable site messaging that appeals to the visitor’s immediate environment. Let consumers know when your company will have events in their area to generate engagement and foster brand loyalty. 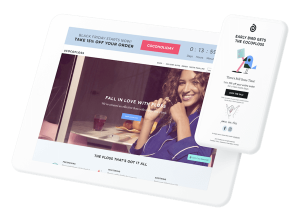 Store launches, meetups, and other offline efforts are a great way to interact with your target audience and build a brand beyond the screen. 50% of consumers planned to buy online and pick up in-store during the 2018 holiday season, according to the NRF. Show them what else they’ve won, Vanna! Discover why Justuno provides the most comprehensive feature set compared to our competitors. Check out some of our other top products and discover how to utilize these simple but effective tools in your marketing strategy. Want to learn more? 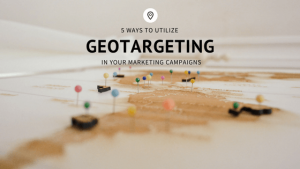 Browse through our related resources for tips on how to work geo-targeting into your next marketing campaign.